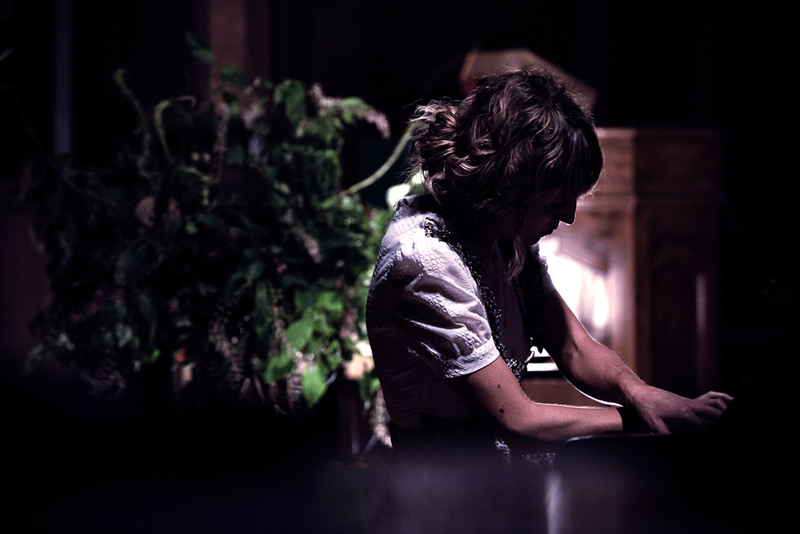 Sydney-based composer and pianist Sophie Hutchings recently toured Japan for the first time where she recorded her impressions and thoughts on her voyage which included performances in Tokyo, Nara and Kobe. 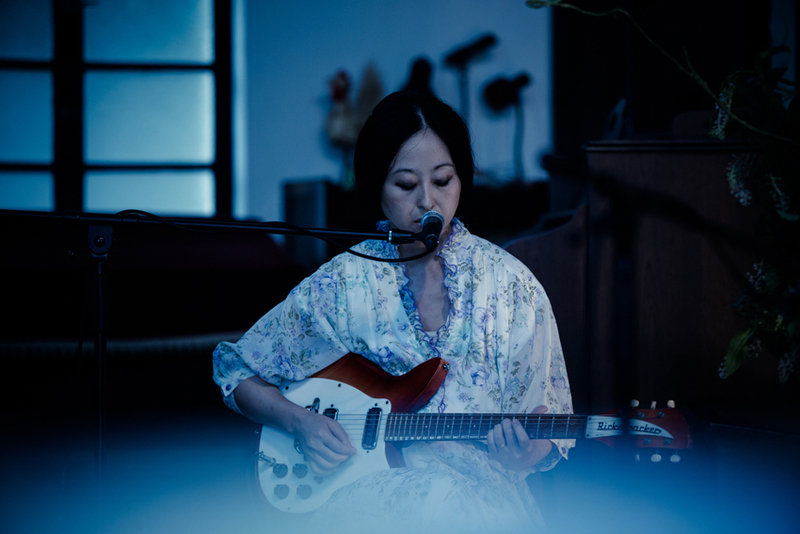 The trip also featured musical guests including the sublime talents of guitar/violin duo Ryan Francesconi and Mirabai Peart as well as the Japanese artists Ikebana and Casio Tones. 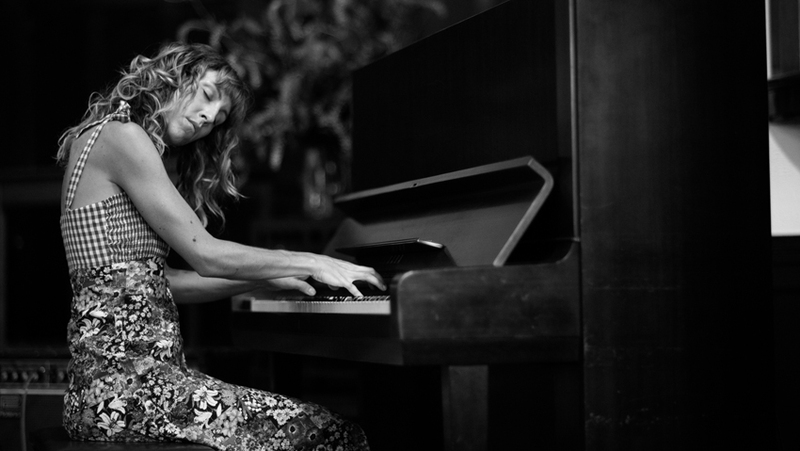 Hutchings’ piano based compositions are both personal and mysterious, all at once. It is divine instrumental music where the ethereal layers of sound shares an unspoken connection with the listener. Her two stunning studio albums, ‘Becalmed’ (2010) and ‘Night Sky’ (2012), confirm Hutchings as one of the most talented and inspiring of modern composers making music today. From gritty chicken gizzards, octopus balls, and crab’s brains to melt in your mouth sushi. When stage fright in a public toilet becomes a thing of the past thanks to an automatic soundscape of running streams. Where rubbish bins sometimes don’t exist but all is somehow immaculate. Where getting naked for a natural osen soak is a must. Shinjuku Station is one of the busiest train stations in the world, and when it’s near midnight it’s easy to become lost in the pandemonium. Finally we surface and meet the bright battle of neon lights. We’re hungry and it’s late, but the local Seven Eleven surprisingly serves its purpose; and satisfyingly so. We’re not talking greasy fries or hot dogs so preserved they’d survive WWIII. We’re talking fresh bento boxes and more. I get my first sushi fix here and discover the best snack ever – onigiri – a rice ball type hit wrapped tightly in seaweed, with a lucky dip treat embedded in the centre be it tofu, tuna, pickled kombu or whatever else and for approximately $1.50 it soon became a staple when hungry. Eastern Tokyo is a largely residential and industrial area with very few tourist attractions. This only spurs the local experience. We make our way through a warren of streets luckily with the help of our friend Masami the Jedi behind Impartmaint. Typically Japanese – you enter a nondescript building and head down a steep timber stair case to find yourself in the basement gallery of Nanahari. A casual vibe, and a mood set by some earthy 60’s Zaire traditional spinning on vinyl, plus a bit of Don Cherry amongst others. There’s a little upright sitting in the corner waiting for me; I thought Japan was full of Yamaha’s. This is an old masculine Kawaii. It’s my first time in Japan, I’m not really sure what to expect but I’m told everyone is ridiculously respectful and polite. It’s true, but they’re not just ridiculously respectful and polite – they’re cute, funny and a bunch of individual groovers. Everyone sat attentively – huddled on little timber stools, lounges with some cosily packed up the stair case. Ryan Francesconi and Mirabai Peart (partners and band mates in Joanna Newsom’s line-up) play a beautiful set. 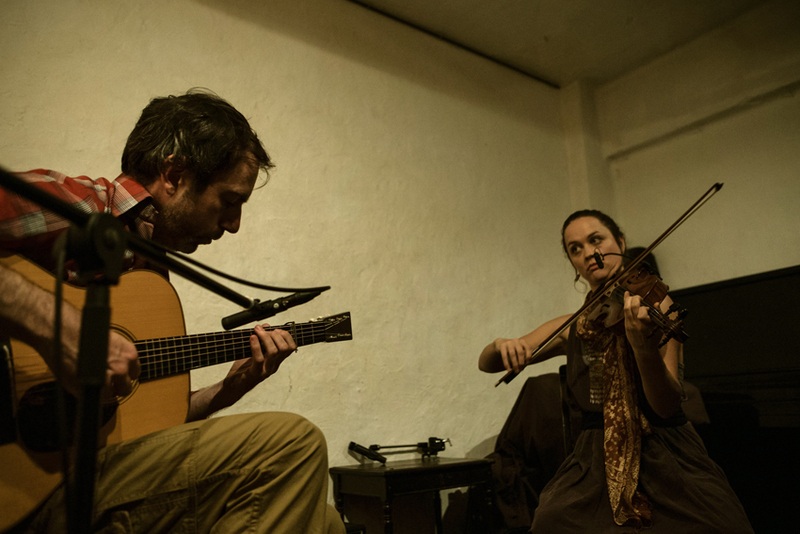 Watching Ryan and Mirabai weave in and out of each other’s musical movements is pretty special, with a fresh yet oldish nostalgic sound stemming from their fusion of Balkan/Bulgarian classical come folk compositions…. I catch up with the Charismatic Yas who has booked most of this tour. We all mingle and I write down a long list of the music that’s been spinning tonight. Back on the train and following the bright neon lights and sky scraper buildings, Yas weaves us through the tiny ramshackle alleyways of the Golden Gai district navigating us back to wherever it was we came from. Streets almost wide enough for a single person to pass through, an area of tiny shanty-style bars and clubs where musicians, artists and the like gather. It’s a great little hub for food and drinks in a very rustic Japanese style atmosphere. Our first taste of Tokyo is good indeed! We are heading for ‘nowhere’. Tastefully minimalistic in style – walls covered in creative offerings and records from all around the world for sale – ‘nowhere’ is the perfect name for this tiny iconic venue as it literally feels like no – where. Surrounded by steep mountains and endless fields that embrace a deep bay. We arrive at the small city of Toyama (in the northern centre of Japan). I meet the very charming venue owner Eiichi Yasukawa and his wife Aiko. Eiichi not only designed and built the furniture but is also seriously the finest chef in Japan, not to mention the possessor of a ridiculously copious music collection. Eiichi starts out as your typically shy, polite and extremely accommodating Japanese host. However by the end of the night he’s dancing around the tables laughing and spoiling the dinner guests with his modern Japanese delicacies: morohay – a smoky tasting morsel of whisked up egg white, seaweed and goodness knows what else that you somehow have to manage to scoop up with chop sticks. The texture resembles things I’d rather not say… however it’s surprisingly tasty! Tofu okra salad, Japanese style beef pockets, radish and pickle green bean salad, jelly infused with an orange and milk coffee base…and on it goes. 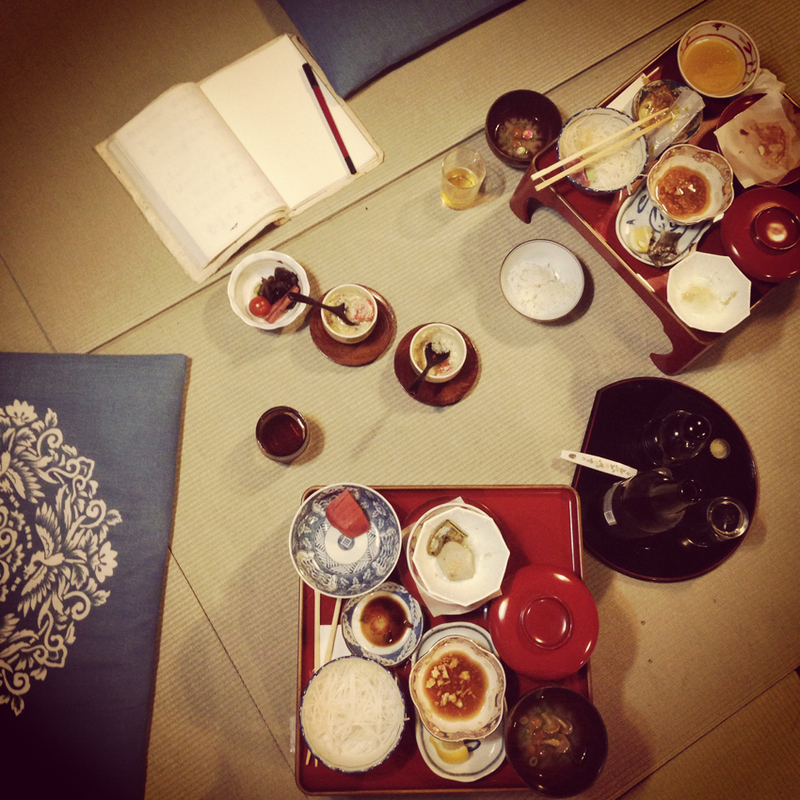 With such a generous supply of food and drinks, our ‘lost in translation’ zone doesn’t seem to matter. By now our dining conversation is led by weighty and animated role play. We drop off our backpacks at Naramachi guest house. It’s an old restored calligraphy house and with the now familiar scent of bamboo and incense I’m feeling at home already. The rooms kind of remind me of an old wooden doll palace. 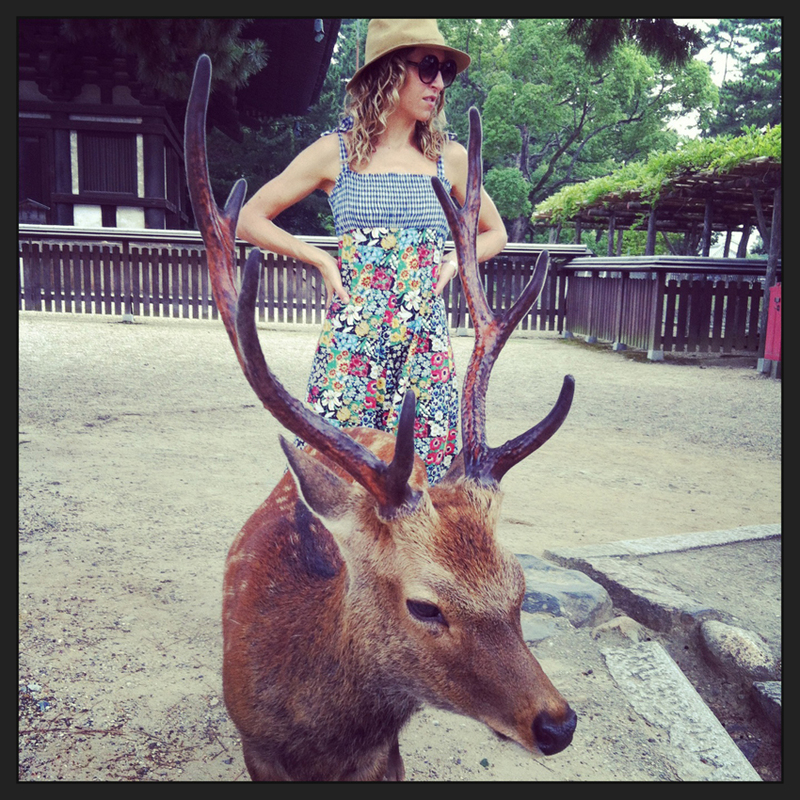 Nara is a place full of hungry deers and little historic treasures awash with long narrow lanes. Former residential merchant buildings and warehouses have been preserved, and now run as cute little vintage boutiques, shops and cafes. On one of these many narrow lanes you will find cafe taken; a small gallery cafe with a quarter of it taken up by a beautiful Yamaha grand piano I am to tinkle on. With rustic timber floors, a beautiful piano packed into a cute space and everyone tucked in around me; It made for a cosy loungeroom atmosphere. 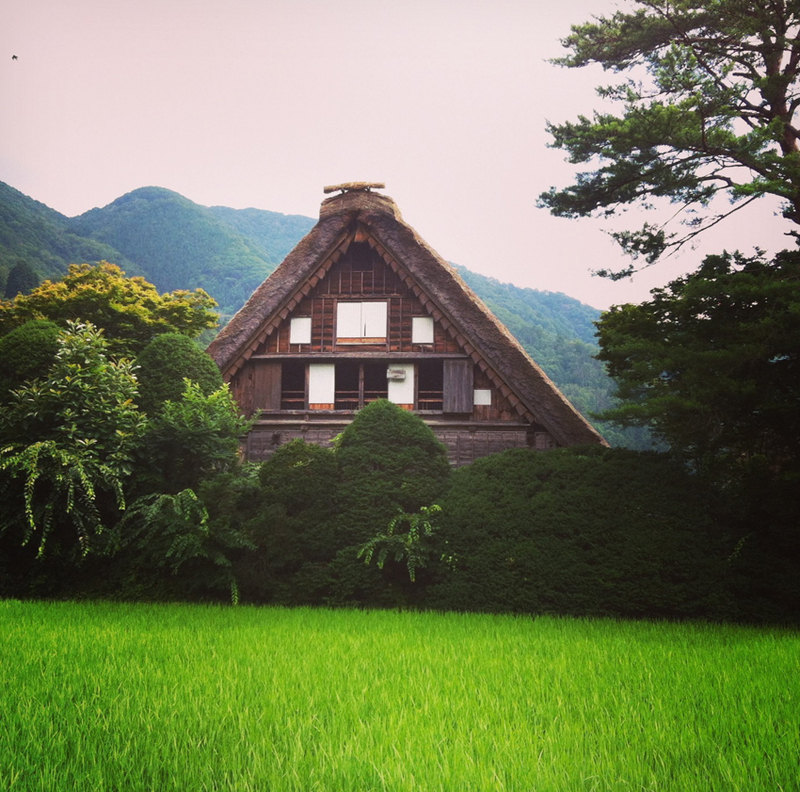 We spend the next day walking through Kasuga woods, playfully fighting off the deers, temple hopping, grabbing another rice ball hit and then finally jumping on our next bullet train to Kobe. Wedged in between the coast and the mountains lays Kobe’s cosmopolitan port city. We meet the Ikebana girls at the nearby train station who I’m doing a couple of the Japan shows with. Ikebana (meaning flower arrangement) are a local duo from Tokyo consisting of Maki and En. They create dreamlike minimalist shoe-gaze guitar tones over atmospheric drones and sweet distant vocal harmonies injecting a calm somnolent mood in the best kind of way. Our group makes its way up the hill-side, there nestled at the top overlooking the sea is the beautiful Guggenheim house. One of the appealing things about Kobe is its unique historical, colourful array of European style architecture. 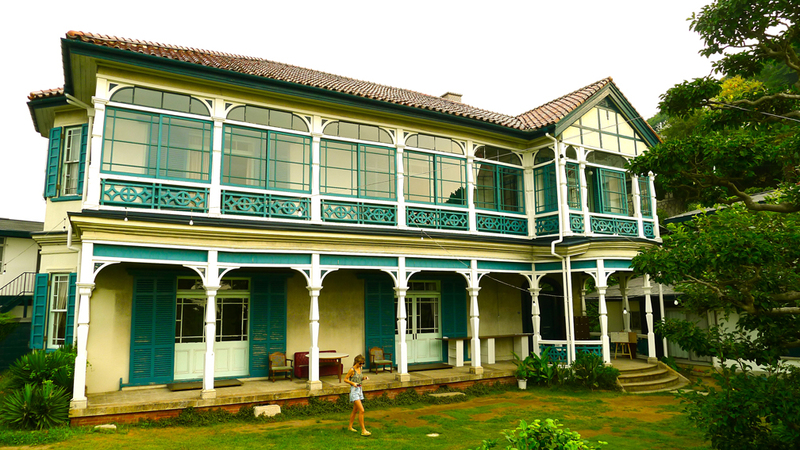 Apparently this dates back to the large community of expatriates who arrived in the early 1940’s so its style stands out. 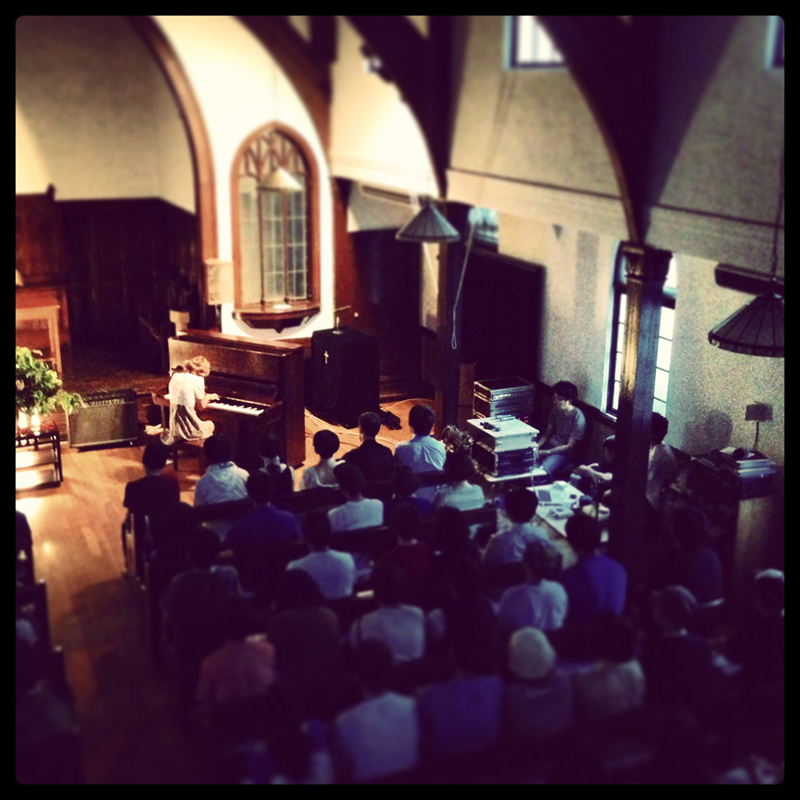 Playing at Guggenheim house is like playing in a big old ballroom and the audience as usual are an attentive delight. Ikebana play a beautiful set alongside the quirky opening electronica outfit called Casio Tones. 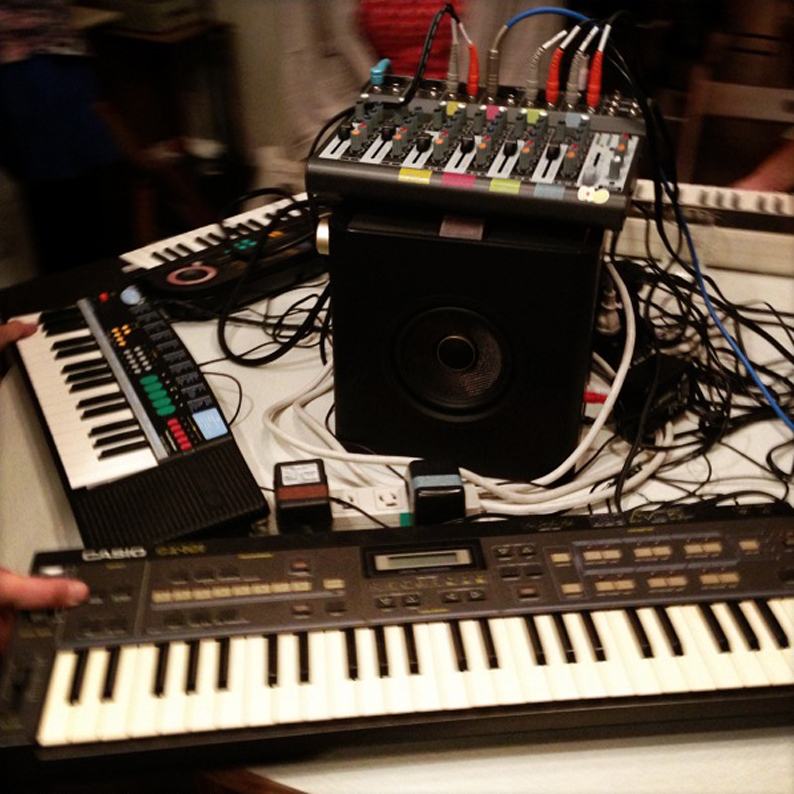 Casio Tones are a concoction of six artists playing musical chairs over continual keyboards, loops and beats. I could only describe it as walking into a video parlour; but instead picture people playing musical instruments instead of games. Very entertaining stuff. I feel at home, there’s a relaxing vibe crashing out here. Almost an elegant “Great Gatsby” feel combined with a family friendly, hippy commune-like element. The back-end of the property is occupied with full-time dwellers who all hang out together pursuing all things creative. 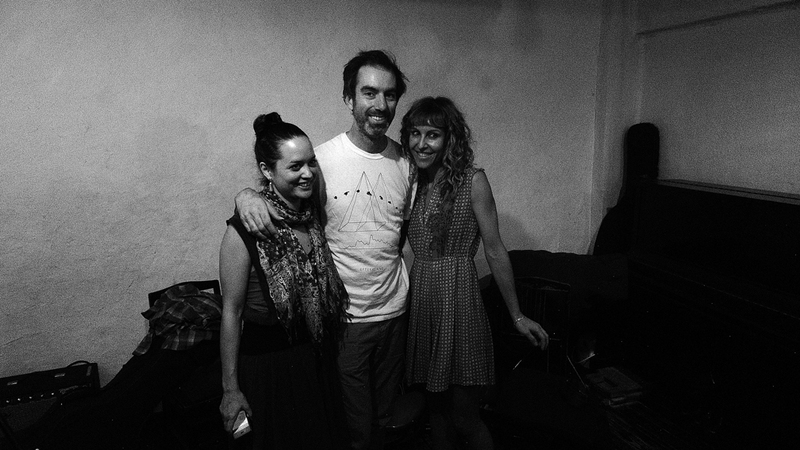 After the show we all mingle over santori highballs and we become like family. We spend the next day taking the cable car for a fine view of Kobe city, pottering about the funky area of West Tor and meeting up with our new-found friends who run spacemoth. 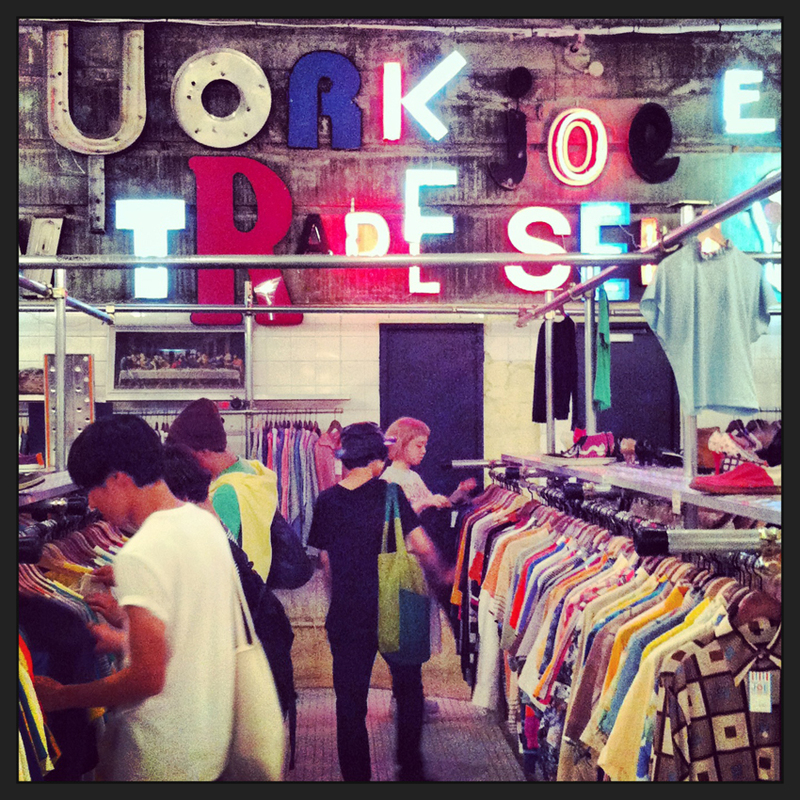 Spacemoth is located in a cool old hospital building that now houses several clothing and music themed boutiques. This place certainly lives up to its cosmopolitan reputation. Being based in the sweet little neighbourhood of Shimokitizawa this time around is a bit of a treat. 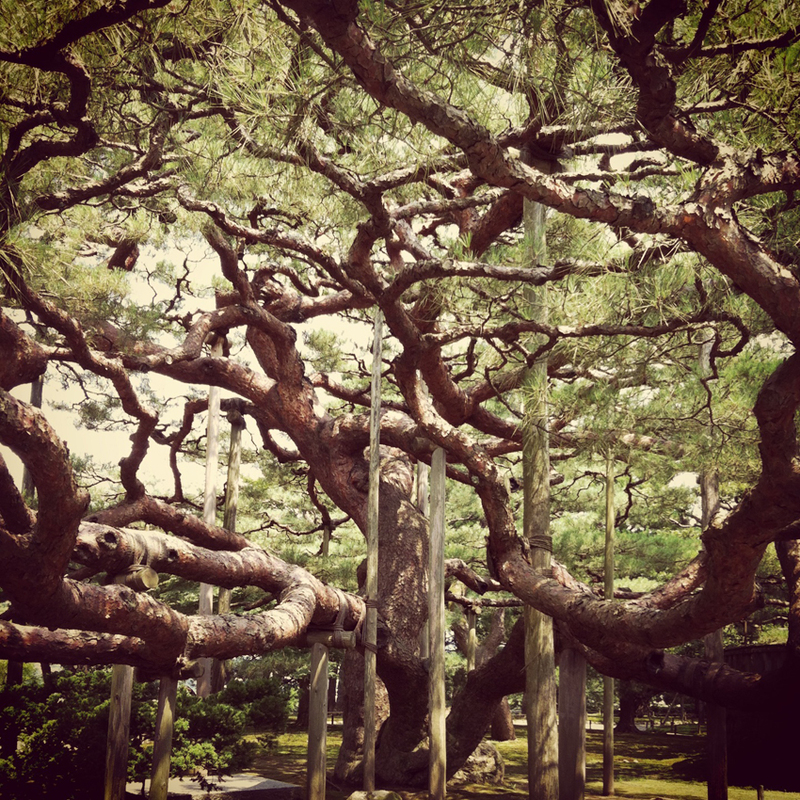 It acts as a rewarding breather if you’re overwhelmed by Tokyo’s more hectic suburbs. Only three stops from the fun and bustling Shibuya – it’s the Japanese Greenwich Village with a laid back vibe full of funky cafes, vintage clothing stores, second-hand record stores, live music venues and groovy little bars and restaurants often arrayed with a mural type graffitied shop front..
With plenty to do in Tokyo other highlights were the tranquil parks, six-seater bars and a long headphone session at Tower Records. There’s often a notion of rigidity and conservatism attached to Japanese society. 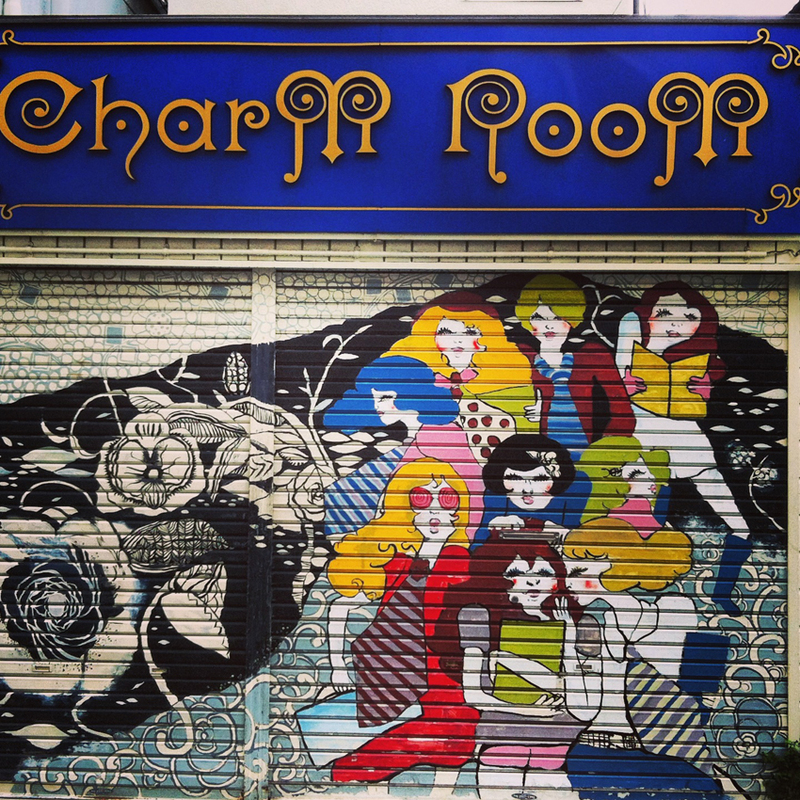 However its music and art scene is definitely a unique quirky hub all of its own, with the most polite and appreciative audiences you could ever ask for. Thanks to Yas, Masami and my travel buddies Reuben, Charles and Nicolette as well as all those involved with the shows for making this a fun and memorable trip. Go go gai daiski des! ‘Night Sky’ and ‘Becalmed’ by Sophie Hutchings are out now on the Preservation label. To read our other articles featuring Sophie Hutchings: Sophie’s current inspirations here; an interview about the making of ‘Night Sky’ here. Portland-based composer and multi-instrumentalist, Ryan Francesconi is one of those rare artists who can create magic and inspiration by the very touch of his hand. His masterful guitar playing is a feast for the senses. His music; whether solo guitar, his array of collaborative work or song arrangements for songwriters such as Joanna Newsom, possesses a depth of heart. The sound of a miracle unfolding. Francesconi’s transcendent music immerses you into a whole new world of possibilities. My introduction to Ryan Francesconi was through Joanna Newsom’s third studio album ‘Have One On Me’, a triple-album of true art and beauty. Having already released two masterpieces in the form of ‘Milk Eyed Mender’ and ‘Ys’, the follow-up was a fitting addition to her mythical songbook. Francesconi played an integral role to the creation of ‘Have One On Me’, as musical director; providing the path for Newsom’s songcraft. His arrangements on these complex and innovative folk explorations is what makes Newsom’s album such a compelling and fulfilling journey. Francesconi classifies her music as “true music” and the same can be said for the work of Ryan Francesconi. Ryan Francesconi’s debut solo album, ‘Parables’ was released to huge critical acclaim in 2010. It is amazing to think there are no overdubs on the record. ‘Parables’ is Francesconi’s solo guitar, where each track is recorded live in one take. Similar to Colin Stetson’s saxophone works, sparks of amazement diffuses into the human space. He embarked upon his first solo tour of Europe early in 2011, spellbinding audiences across the continent. 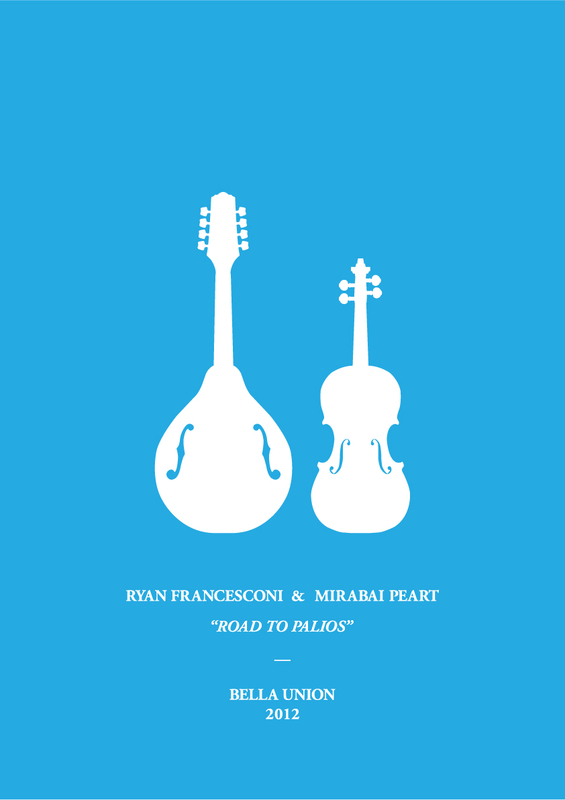 Last year, Bella Union released ‘Road To Palios’, the wonderful collaboration between Ryan Francesconi and his partner Mirabai Peart. The album contains a mesmerising cycle of duets for acoustic guitar (Francesconi) and violin (Peart). The album was inspired by the couple’s trip to the Greek island of Lesvos. In the words of Francesconi: “Experiencing the deep raw part of Greece is to transcend time.” Similarly, the music is utterly transcendent. The breathtaking instrumentals evoke the deep blue seas, rugged hills, mountains, human history and rich culture of Greece. A heart and soul is pouring from the two musicians. The close dialogue between the acoustic guitar of Francesconi and Peart’s violin is what makes this journey such a compelling one. Opener ‘Parallel Flights’ begins with a slow waltz of acoustic guitar notes. I feel the notes reflected in the shimmering deep blue seas. One minute in, Peart’s violin creates an odyssey of beguiling sound. The violin notes flow along the current of acoustic guitar melodies, eventually meeting the blue sea. A single stream of consciousness. The violin and guitar become one. The dynamic range shifts on ‘For Christos’. 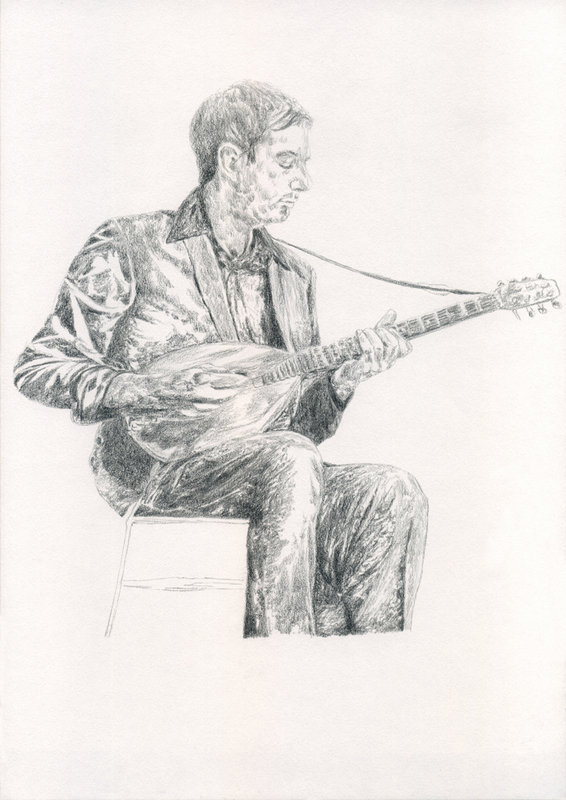 Soaring violin and John Fahey-esque guitar continues the journey along the road to Palios. I particularly love the quiet that ascends upon the listener halfway through; a tenderness and sadness radiates through the sonic terrain. The title-track is steeped in immense beauty. Boundaries as ever are crossed, as the piece goes from Balkan to Baroque, and Americana in one fleeting thought. The passages of Francesconi’s solo guitar is sublime. Peart’s violin adds wonderful textures and depth. ‘Far From Shore’ is just that – a gorgeous, meditative instrumental. Their shared obsession of Balkan folk music is clearly conveyed. In the words of Francesconi: “This colour seems to seep into everything I do. It’s not entirely conscious at this point. It’s my hands. It’s not me.” The stark natural beauty is etched across the land and music, alike. ‘Road To Palios’ is a journey of the heart and soul. Your father is a mime. Your mother is a writer. Art for you was always in your blood. Can you please discuss this artistic world you were immersed in as you were growing up in your family home? Well honestly it wasn’t so much an artistic environment actually. What it was though was an unstructured one, a place where I could explore whatever I wanted with total freedom. That worked really well for me. You gravitated towards music at an early age. I was interested to hear you built your first guitar at the tender age of 7, albeit from rubber bands! Your first electric guitar you bought at 11. Please take me back to this time when you first started playing the guitar and what were the possibilities you saw with this musical instrument? Well as you might imagine, the rubber band guitar had certain limitations. At the time though I did combine it with some bongos and a harmonica, so between the 3 of them I could get a decent jam going. I found music totally on my own, nothing was introduced to me. So, it took some time to realize that was what I really wanted to do. Up until college I still debated going into visual arts rather than music. Since I made that choice it’s been full time music. I absolutely love your latest album ‘Road To Palios’ with your partner Mirabai Peart. The duets for acoustic guitar and violin are breathtaking and feels like a soul journey that transcends both space and time. Can you please discuss the inspiration of the trip to the Greek Island of Lesvos had on you and how it triggered this music to be made? Hey thanks! It’s wonderful to play and travel together so it was very natural to make a record as well. I was interested to go to Lesvos as a certain tune that I love was from there. It became sort of an underlying plot while we were staying there to see if we could find out anything about it, or perhaps pinpoint the village it was from – riding double on a scooter or junker bikes along the dirt roads. Experiencing the deep raw part of Greece is to transcend time. You can see time layed out before you, in the old stone walls, the shepherd paths, the ruins. This is human history at a crossroads. Still visible. At night it can be downright spooky. There is still magic in those hills. In terms of the compositions on ‘Road To Palios’, what are the sources for these instrumentals. ‘Kalamatianos’ is a traditional Greek dance. A beautiful piece of music. Can you tell me more about this piece and what other traditional pieces are on this special album? To clarify – there is no traditional music on this record. These are only compositions of mine. Honestly, I didn’t intend Kalamatianos to remain the title of that tune, but I took too long to rename it, then it was too late. Often I’ll just lazily name a piece by the type of dance that is associated with it – if it happens to match to one. Your main obsession is towards Balkan folk music, mainly from Greece, Bulgaria and Turkey. I would love to know what is the essence of this world of music that makes such a connection for you as an artist? Well, it’s damn good music! True music. Music that isn’t so based around the ego like most pop music. It has the technical skill that the brain enjoys, but a depth of heart that isn’t matched by much else out there. Many styles are inherent in your playing. American bluegrass, folk, jazz improvisation, Baroque to name but a few. Can you please give me some records that were defining for you in exploring these genres of music? You are an integral part to Joanna Newsom’s music; from the arrangements and instrumentation on her amazing triple album ‘Have One On Me’ and as part of her live band in the Ys Street band. Please give me an insight into this beautiful working relationship you have with Joanna? I think Joanna can be also classified as true music. I don’t listen to any pop music at all, so I’m not terribly educated about what is out there that also might be. Robin Pecknold is certainly in the same ‘true’ category. It was a lucky combination with Joanna. I don’t think really many singers would be interested in the types of things I do best – so I was able to help her with the more scholarly bits. Great compliment for me as well as I’m a terrible singer. No talent. Is there a particular song on ‘Have One On Me’ you are most proud of, looking back on the album now? I like the brass arrangement on ‘You and Me Bess’, also I think the title track is quite an amazing song. We didn’t quite nail the performances of the arrangements on the record, but you can get the idea anyway! Please discuss your amazing solo guitar record, ‘Parables’? This was my first introduction to your music. It’s hard to believe it is solo as it feels an entire ensemble are playing on there! Nice of you to say. Not sure I’d agree though! 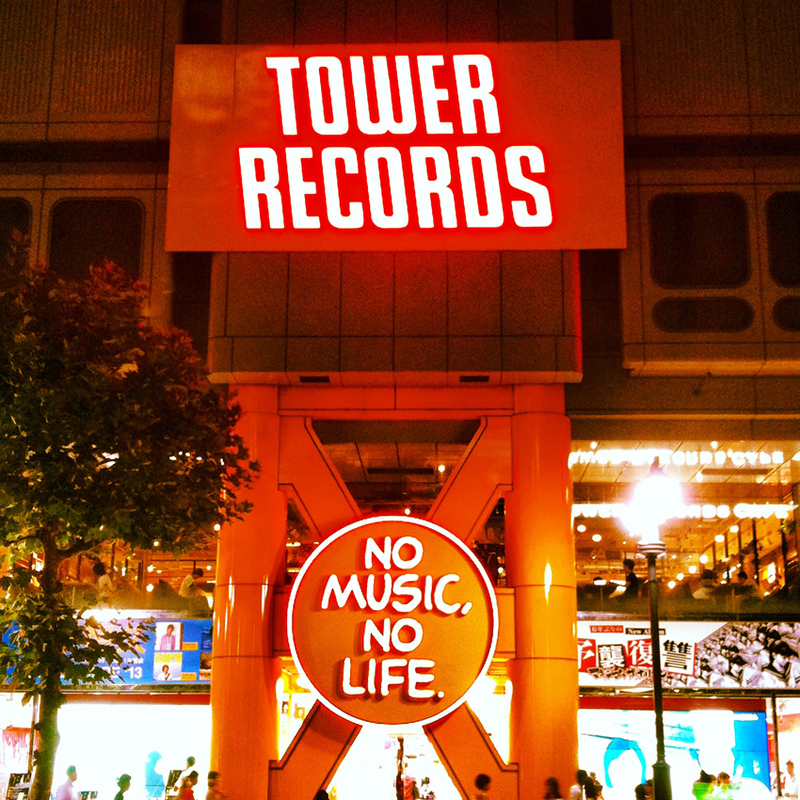 Well, it is just a humble record. I just wanted to strip bare my music. What can I do if I have to do it live and acoustic. What’s possible? That was the starting point. The tracks were all recorded live with no overdubs. This really epitomizes your amazing talent as a musician. What guitarists influence you the most for performing music? I was a guitar head in college, but after that, I didn’t play much guitar for a long time as I was playing more of the folk instruments. I guess if you combined Miroslav Tadic with Bill Frisell you’d be in the ballpark. I hear you have a passion for cycling. Please talk about this passion and the importance the sport has on you? I’ve started cycling last year and can’t believe the benefits you are awarded from it; mainly a large intake of healthy air and oxygen! It’s a slippery slope. Once the bug gets you, its near impossible to get out again. It’s been great, but I tend to spend more time doing it than everything else – including music. I race with Team Oregon – on the road during the spring and summer, then cyclocross in the fall and winter. Keeping up with training is important for me, but rather impossible while touring. I’m in Australia now, but I brought my cross bike with me. I can’t decide if it’s a healthy obsession or not! Certainly is an intense one. It’s a direct physical experience of life. It’s dangerous, removes the insulation that our antiseptic society has created. Bike racing is primal and raw. It’s about pushing past your comfort zone into uncharted suffering. Portland is a great place for bikes. Most of my best friends there are cyclists not musicians! What’s next for you, Ryan? Any projects lined up? We’re planning to tour the duo in Europe in April and May. Schedule is still a bit sparse, but hoping it fills in some. Thanks so much for your time and for answering my questions. Thanks very much for your beautiful music. ‘Road To Palios’ is out now on Bella Union.